These days, Wifi is not accessible, so I would like to transfer some music songs from my Android phone to the iPod device so as to listen to music songs when doing morning exercises. Is it possible? So do you have any good idea? No doubt, doing morning exercises while enjoying the lyrical songs with the portable iPod device is a pleasure. And speaking of transferring music songs from Android phone to iPod device, you absolutely can't miss this Android to iPod Music Transfer - Samsung Data Transfer (Windows/Mac), which allows you to transfer as many music songs as you like from Android phone to iPod.With this software, all the files can be easily supported such as contacts, messages, music songs, photos, videos, and etc. 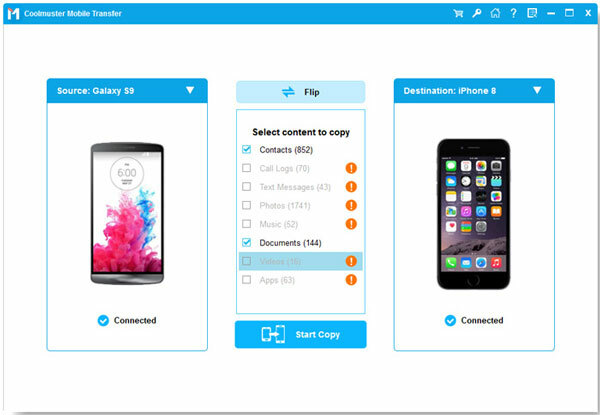 Moreover, this software is fully compatible with all brands of Android phones. Now, just get the right version of this software and share Android music songs to iPod device in one click! 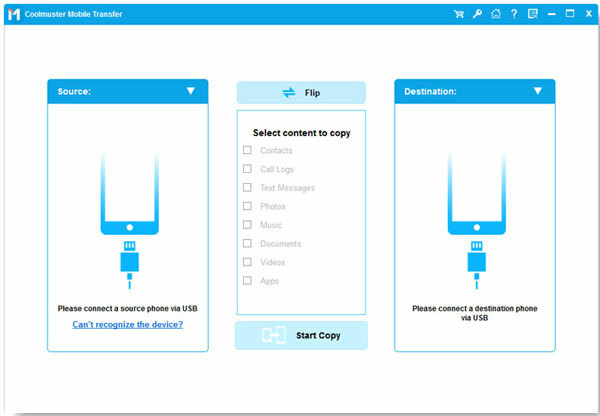 First of all, open the installed software on the computer and then connect your Android phone and iPod to the computer via 2 USB cords. After that, this software will detect your devices. Please choose "Phone to Phone Transfer" mode on the main interface to move on. Then you might see all file folders are arranged on the left panel. Before transferring, please check if the Source device (Android phone) and Destination device (iPod) are in the correct side. If not, please click "Flip" button to change the position. Check "Music" and other files you want to transfer from Android to iPod. After that, please click "Start Transfer" button to start to transfer the music songs to the iPod device in one click. Now, you can bring your iPod with you so as to listen to your favorite songs while exercising!